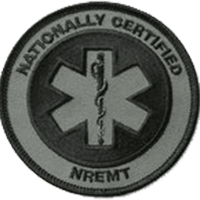 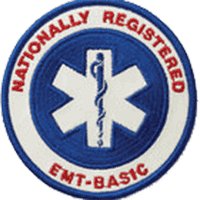 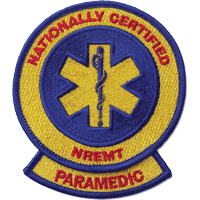 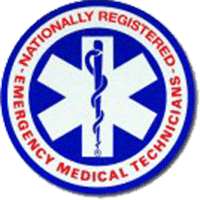 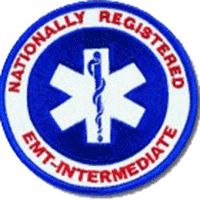 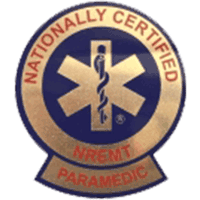 To purchase NREMT patches, decals, or other certification items you must login and hold a current NREMT certification. 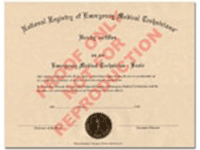 During our website transition, you will be taken to our classic site to complete your purchase. 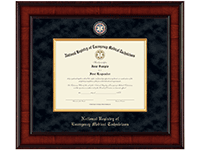 The NREMT professional frame store offers many frames to display your achievement. 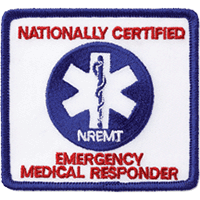 All EMR items include free shipping. 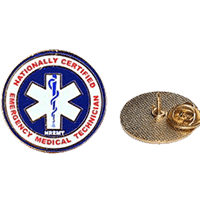 All EMT items include free shipping. 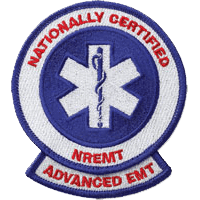 All AEMT items include free shipping. 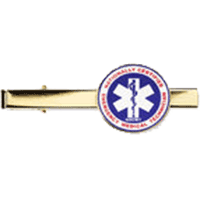 All Paramedic items include free shipping. 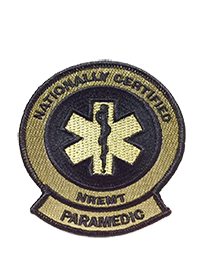 3 1/2 inch diameter; 2-Way Decal. 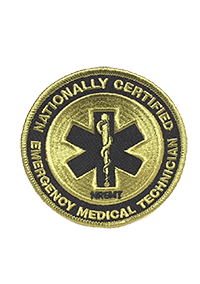 This decal is perfect for car windows, medical kits, hard hats, or bumpers. 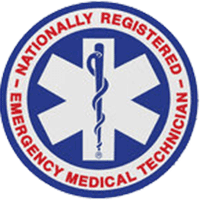 This decal is not intended for use on ambulances or emergency vehicles. 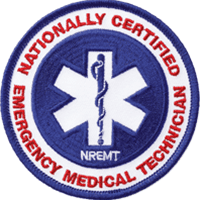 This decal is available to Nationally Certified EMS Personnel at any level. 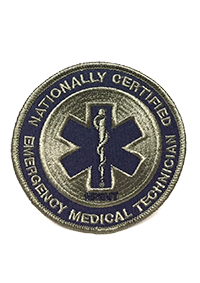 The primary purpose of a practice analysis is to develop a clear and accurate picture of the current practice of a job or profession, in this case the provision of emergency medical care in the out-of-hospital environment. 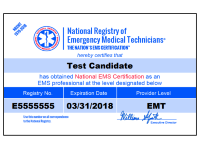 The results of the practice analysis are used throughout the entire National Registry of Emergency Medical Technicians (NREMT) examination development process, which helps to ensure a connection between the examination content and actual practice. 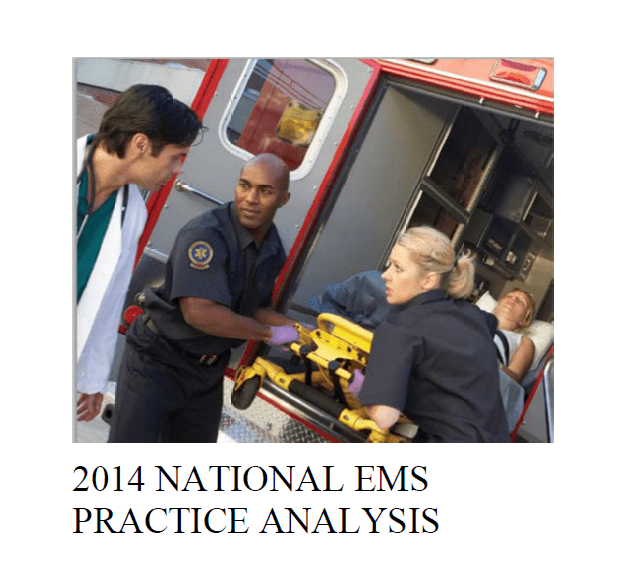 The practice analysis helps to answer the questions, "What are the most important aspects of practice?" 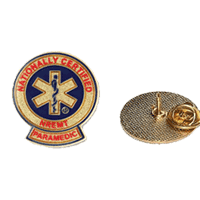 and "What constitutes safe and effective care?" 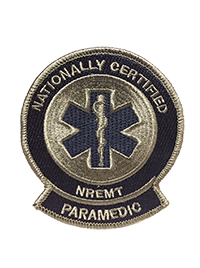 It also enables the NREMT to develop examinations that reflect contemporary, real-life practice of out-of-hospital emergency medicine.